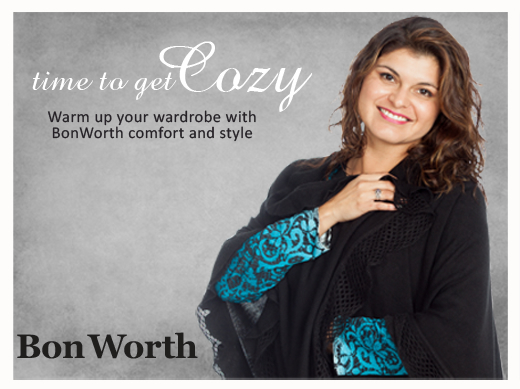 Wrap Up Your Week With Savings From Bon Worth! 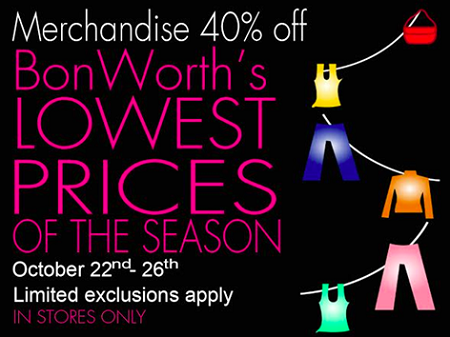 Merchandise 40% off Bon Worth’s Lowest Prices of the Season October 22nd to 26th Limited exclusions apply In stores only. 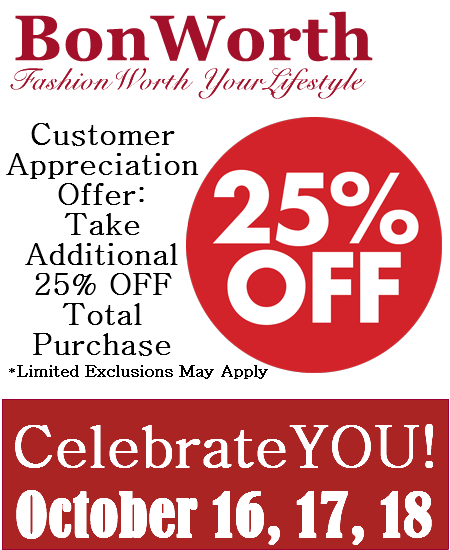 Bon Worth Customer Appreciation Celebrate You Day! Take Additional 25% OFF Total Purchase. Limited Exclusions May Apply. Also, in-store drawings for Bon Worth gift certificates! Chance to win with every purchase. Valid October 16, 17 and 18 Thank You! 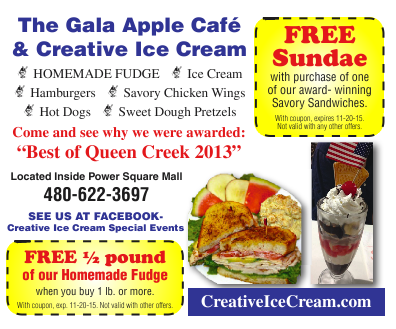 The Gala Apple Cafe & Creative Ice Cream Coupons Free Sundae with purchase of one of our award-winning savory sandwiches. 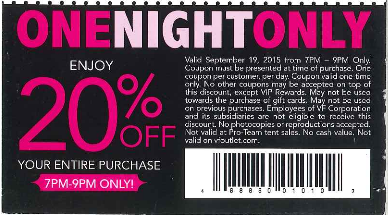 Coupon Expires November 20, 2015. Free 1/2 Pound of Our Homemade Fudge when you buy 1 lb. or more. Coupon Expires November 20, 2015. 20% off entire purchase during the Women’s Night Out Fashion Show.